There is no dedicated video player app on the Live with Walkman as in most of the droids out there. Fair enough, maybe a fancy UI for picking a video is not that important, playing videos is what really counts. Well, that’s another disappointment – the video player supports only 3GP and MP4 videos. To its credit, the Live with Walkman did play a 720p MP4 video though (it records 720p videos, so it's expected to). The music player on the Live with Walkman is quite the looker. The interface is laid out in four tabs for the available sorting options: all artists, all tracks, playlists and albums. 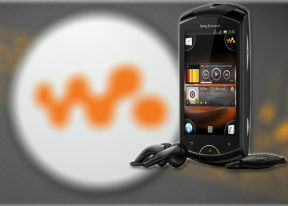 Altough it has the Walkman branding you'll find no major differences compared to what the Xperia line of phones have. The xLOUD audio enhancement is a setting that ups the loudspeaker volume. It’s not exclusive to the Live with Walkman – all of the Xperia smartphones have it too. 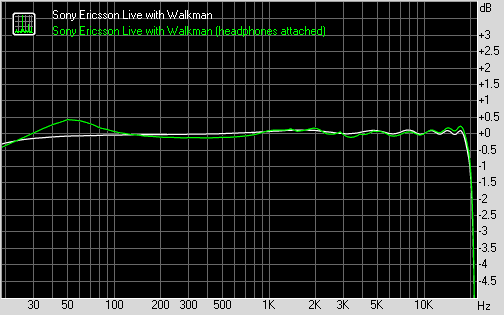 The Sony Ericsson Live with Walkman lived up to its name in our traditional audio output test. It got some pretty great scores and was reasonably loud so most users will have nothing to frown at. As usual the really impressive scores are achieved with the smartphone connected to an active external amplifier. In that case the Sony Ericsson Live with Walkman hasn't got a single weak point of its performance. When headphones come into play there's some degradation here and there, most notably with stereo crosstalk and distortion levels. Still those are no worse than average and with the other scores remaining very good, we'd give the Live with Walkman a very good mark on the second test as well.